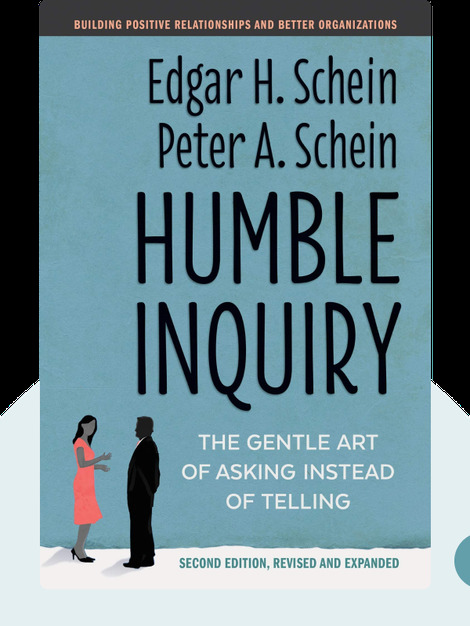 Humble Inquiry (2013) sets out the basic principles of the art of asking the right questions in the right way. 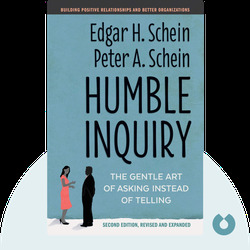 It examines how your approach to inquiry affects your relationships at the office, your ability to get quality work completed and, ultimately, your success as a leader. Edgar H. Schein is the Society of Sloan Fellows Professor of Management Emeritus at the Massachusetts Institute of Technology and has received many awards and honors throughout his career. He has also penned a number of books, including Organizational Culture and Leadership and The Corporate Culture Survival Guide.